Why is Wella Lashes big 25mm mink strip lashes the best? Ever since the production of biig 25mm mink strip lashes by Wella Lashes, large mink lashes have become more and more popular. Aupres eyelashes have developed 18mm Siberian Mink Lashes based on the basic model of 16mm regular mink lashes. It is very popular. In the 2018 fashion style, the 18mm style is very popular. Occupy six models, such as 3D09B, 3D22c, 3D13YL, 3D22YL, 3D35YL, 3D66YL, on this basis, Aupres has developed and improved 12model of 25mm, 8 model of 20mm long eyelashes, which are favored by the majority of long eyelash enthusiasts, products In short supply, several varieties have been very popular since November 18, and they are still very popular in January 19th. We know that the traditional short eyelashes are natural, and you wear the eyelashes just like the ones that are not worn. That is the highest level of short eyelashes. When a girl is praised for her eyelashes, she is always proud to say “I haven’t found my boyfriend with false eyelashes“. This sentence can describe the relaxed, natural and comfortable little eyelashes. The large eyelashes are the opposite. The eyelashes are thick and thick, and the style of the large eyelashes is arrogant, unrestrained and strong. If you make it like a small eyelash, the eyelashes that are made are like a fan hanging on the eyelids. It’s dark and ugly, and the eyelashes are heavy. Your eyelashes don’t have the ability to support them. When you use makeup, you can only continue with mascara. The brush on the forehead can make the mink lashes better blend with their own eyelashes. It looks natural and realistic, but the quality and weight of the eyelashes have made her dress unnatural. 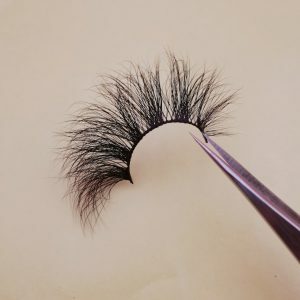 The difference between large eyelashes and small eyelashes is that there must be a good degree of bending, so that you can find a good support point for the eyelashes. The upturned eyelashes can open the eyes and bring a better beauty effect. This is very important. of. 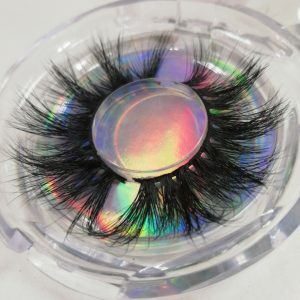 Why are long eyelashes so popular, there is no factory to make this product in the market, no eyelashes to buy this product? It is because the long eyelashes start to bend up from the middle, which is very difficult to do. It cannot be done without mature technology and skilled labor. After a long period of research, Wella Lashes has already overcome this difficulty. 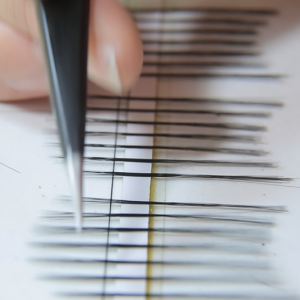 Skilled technical workers, according to the technical drawings, manually layered a layer of eyelashes, and then use the combination of heat and force, using exclusive and unique technology, with a 7-day cycle to meet the bending standards required by the designer. This core technology for making the perfect curl of the big eyelashes is only available in wl, so now only Wella Lashes can make beautiful eyelashes. Now a lot of beauty salons, eyelash beauty artists are also starting to buy big eyelashes from us, because they can’t make such long eyelashes because they can’t make such long eyelashes, because they can’t make such high eyelashes, they give Long eyelashes made by customers must be processed with eyelash curlers and mascara every day to achieve the effect of upturning. This is very troublesome, and no one likes to do so. Because Wella Lashes’s large eyelashes are purely artificial, purely physical, so its cost is very high, naturally its price is also a bit high, but the customer experience is very good. After all, if you pay for a penny, you have to pay a relatively high price. Content marketing through social networking sites is a popular trend in business today. YOUTUBE is the second largest social networking site after FACEBOOK（Xuejie Liu）, and through YOUTUBE video to deliver the eyelash products and prices they need, so that customers can choose the eyelash products they need. 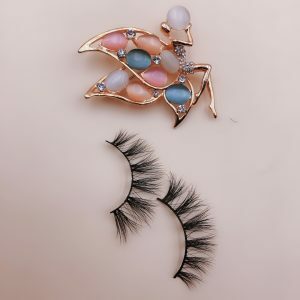 Is the best way to get customer consultation and customer orders quickly, so how to use YOUTUBE to develop online eyelash business? 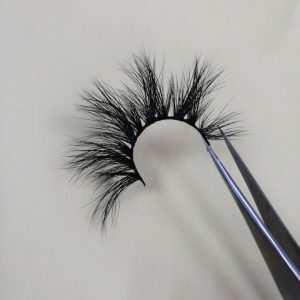 First, by uploading eyelash video, let customers know that you have the premium mink lashes wholesale they need, and the cost-effective eyelashes. For example, the 3D mink eyelashes of Wella Lashes are between 16 and 20 mm in length. Wella Lashes designers pay attention to the quality of eyelash products and add a lot of fashionable elements. For those who like long eyelashes, there are also Great attraction. 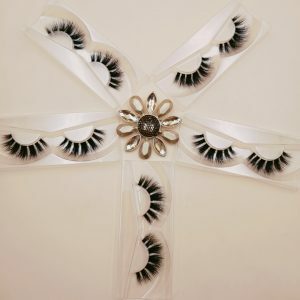 And it’s priced at only 5 US dollars, can be used more than 25 times, even if it is quickly transported to the United States, its cost price is only 7 US dollars, it is at least 2 grades higher than the artificial false eyelashes priced at 7 US dollars, in the United States The price of $15 is very simple. Such eyelashes are naturally very cost-effective. Using such eyelashes to start your eyelash business is naturally easy to create business returns. Secondly, let the customer know that your eyelashes are easy to wear and easy to maintain. 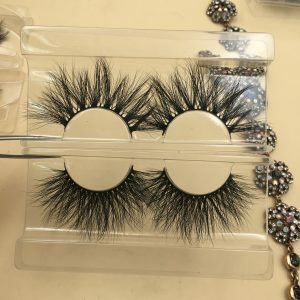 Our eyelashes are made of mink hair and are very lightweight; the cotton eyelashes are soft and comfortable, very easy to wear, and easy to cross-mix with their own eyelashes. They look very natural and comfortable to wear. Just use it once every six times, remove the glue from the eyelashes, and then blow it dry with a hair dryer. It is easy to maintain and continue to use. The wear and maintenance process is passed to the customer through the video, which can easily lead to the purchase interest of the customer. Of course, you should pass the video to the customer before you bring the contrast between the eyelashes, choose the eyelashes that suit your eye shape, bring the eyelashes to make your eyes big, the eyes are deep, and the makeup effect is more obvious. 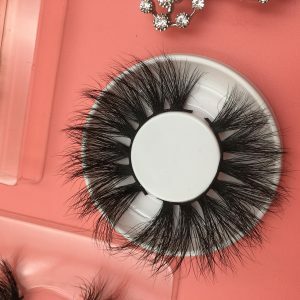 Our 18mm Siberian mink eyelashes are of moderate length. 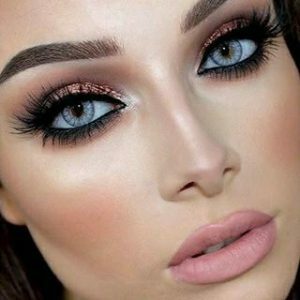 Basically, don’t have too many face makeup to set off, so that customers can feel the simple make-up can bring this eyelashes, you can have a natural beauty, so that customers’ interest will be better, buy Desire will be even stronger. At the same time, it is very important to update your video regularly. It is recommended that you update 2 times a week. You can record a short video, within 5 minutes each time, each time focusing on a key point, such as video with eyelashes, video cleaning eyelashes, pick Video of eyelashes, video of eyelash maintenance, etc., so that you can attract more eyelash enthusiasts, through a practice accumulation, then you will have more subscribers, subscribers’ comments will let Google engine put your channel Recommend to more consumers to search, so you have more subscriptions, your content will be more people to watch, naturally there are more eyelash consumers. When recording a video, be sure to record the content of the eyelashes that the eyelash consumer cares about, starting with the common details, which will make it easier for the consumer to accept your eyelashes and make it easier for her to buy. 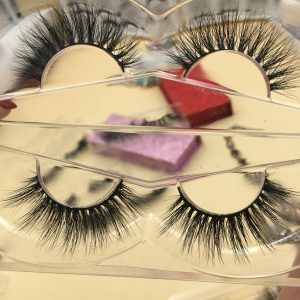 I believe that if you can stick to a month, you will have a very good consumer group, and through their good feedback using our high quality mink lashes, your customer base will be bigger and bigger; After 3 months of persistence, you will be able to successfully make your own small eyelash brand and achieve your normal business goals. As long as you persist, I believe that you will succeed.